“Qwickly” send e-mails, post announcements and check grades for multiple classes. When you log into Blackboard you may notice a new module on your Blackboard window. We have installed a new Building Block called Qwickly (yes, it is spelled that way *grin*) that will allow you to interact with multiple classes at the same time! Post an Announcement to one or more courses. See the number of items that need grading in all of their classes and each class individually. We’ve added a new section to the Teaching Online tab in Blackboard that will walk you through it. Starting by visiting the Teaching Online with Blackboard course and clicking the Communicating nav menu link. Scroll to the Qwickly: E-mail & Announcement Broadcast + Grading learning module and click it to learn more! Please let us know how you like the new tool. An online instructor has many “friends” or tools to help facilitate communication, assessment, collaboration and learning in their online course. In many instances a faculty will chose one tool over the other for obvious reasons. A course blog can cover a number of bases and it is a medium that many of your students will already be familiar for helping to digest information. This blog post (<– see what I did there) will cover just a few ways that a course blog can benefit you and your students. It is already a best practice for you to communicate regularly with your students. A blog can help facilitate that practice by helping you to post weekly (or more depending upon your need). Ensure your students have a expectation of having to check the blog regularly and can expect (from you) a post each week. 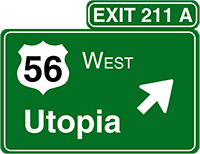 Part of what you are trying to do here is remind your students of upcoming assignments, readings, or research as well as giving them waypoints or signposts where they should be paying attention. One of the best ways to utilize your course blog is to make it a feedback mechanism. Letting your students know that you are reading their assignment submissions, discussions and other assessments assures them that you are taking an active part on their learning journey. For example, use the blog post to sum up student discussion posts or submitted papers for the week giving kudos (by name) to students who are really bringing it home and challenges where the class maybe coming up a little short. 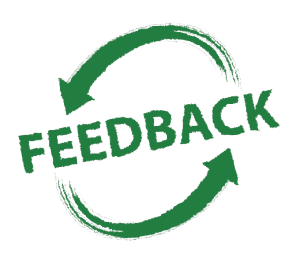 You can turn the feedback around and have them comment on a blog post to collect feedback. Have a course blog means that your students will know where to go to find the out what’s happening in your course. They know that they can use the tool to search for the data they want. Digging through a syllabus or checking old announcements can be time consuming for some students. 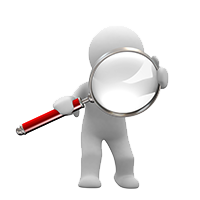 The course blog provides a familiar interface that is easy to search for needed information. In many instances, students can search by category, key word or date (week, month etc..). The blog keeps an archive of old posts so your students will know exactly where to look. Keeping your students informed, engaged and in the loop is key to ensure they have a successful leg in their educational journey. The course blog allows you to let your students know what’s going on, provide feedback and provides an easy way to find all of that information. *Blackboard Learn provides the added benefit of associating your picture with each post and your students’ pictures with each comment, thereby making the experience more personal and connecting. Your SHSU Online team will be Live Blogging from Blackboard World in Las Vegas from July 7 – July 12. Members of the SHSU Online team will be posting about the sessions they are attending as well as their overall experience at the conference. Can’t make it to Las Vegas yourself? No Worries! We will keep you informed and up to date with our live blogs during the event. There are hundreds of different sessions that happen during the conference and the SHSU Online team will try an divide and conquer to soak up as much as we possibly can. 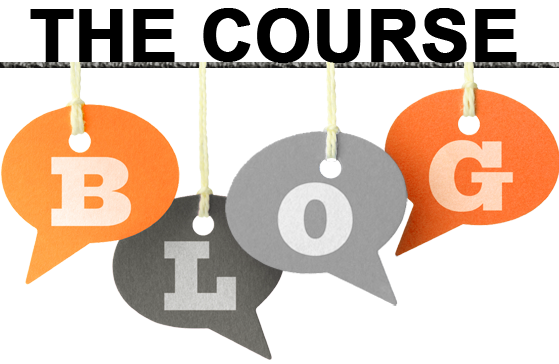 Keep your eyes peeled to the Blog, our Twitter Feed and our Facebook page so get links to the SHSU Online Blackboard World Blogs. 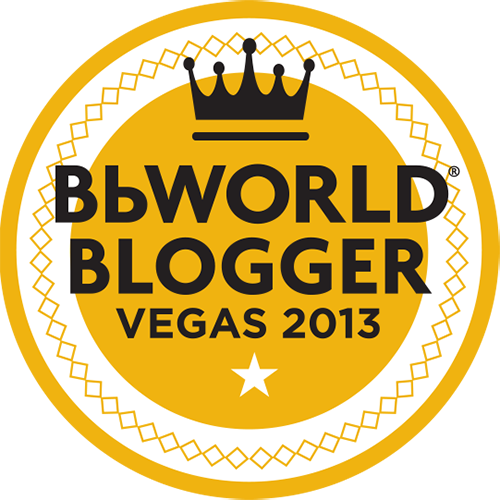 One of our team members is actually an Official BbWorld2013 Blogger and will gain prime access at Blackboard World Keynotes and events. Have a twitter account? Jacob Spradlin will be live Tweeting the event as well. Follow his twitter feed @jspradlin for live Tweets from each of his sessions. You can check out what BbWorld attendees from all over the world are doing at Blackboard World by searching the hashtag #BbWorld13. So be on the lookout this July. Prepare to get connected and linked into the latest from Faculty, Technology Experts and more. In this week’s edition of Best Practice Monday, we examine a best practice when using multimedia in your courses. 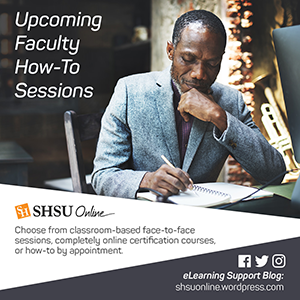 You can find more Multimedia Best Practices via the Teaching Online Tab when you log into Blackboard @ SHSU. In a Perfect World, your students would be able to access every bit of your media on any device without any problems. We all know that that world doesn’t exist. 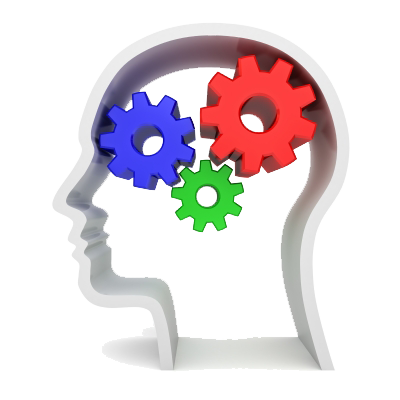 Students regularly have technological snafus that interrupt their ability to view your course content. You may also have students with a disability that does not allow them to digest the media in the same way as other. In either case it is a good idea to have an alternative format of our presentation for your students put their digital “hands” on. By providing secondary links or access you provide a much needed detour when there is Internet construction as well as backup should the SHSU Online Technical team be unavailable. *Should a student of yours need an accommodation due to a disability, they will work through the office for Students with Disabilities. Your SHSU Online team will then work with you to ensure your course is equipped to work for that student. If you need assistance in offering alternative methods for multimedia access, contact your college’s Instructional Designer or e-mail delta@shsu.edu.